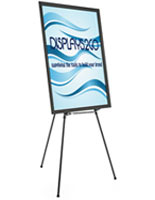 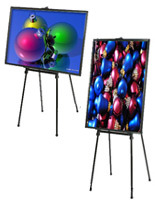 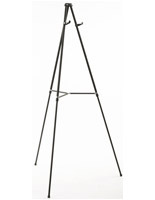 This black easel stand with 24” x 36” snap frame is the ideal sign holder for your ad poster. 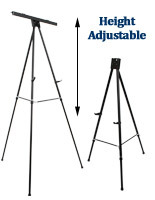 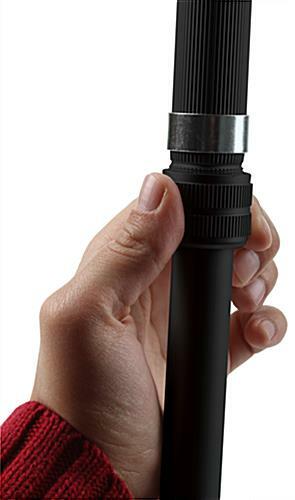 The portable tripod is equipped with telescoping legs that can be adjusted in height from 45” to 74.75” enabling optimal viewing in crowded events. 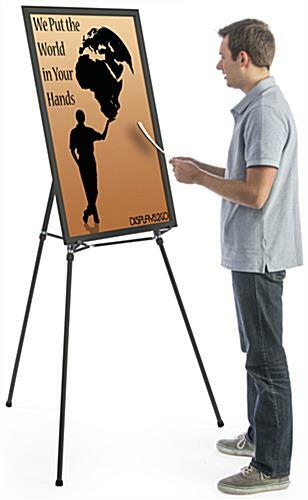 The easel with snap frame for floor use is multi-functional with the option to use an attachable brace to hang your art from the unit. 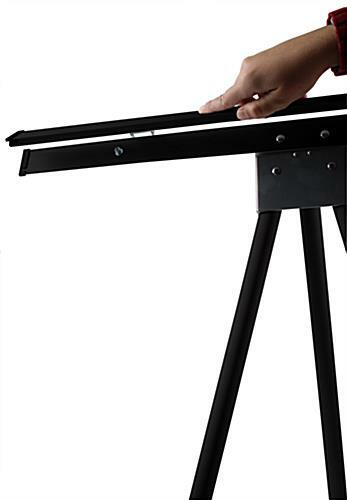 Using the height to your advantage is incredibly easy by utilizing the rotating clamps on the legs and extending them to your desired elevation. 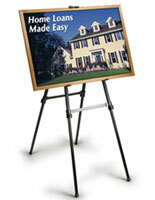 The easel with snap frame becomes portable by retracting the legs and storing in your car or supply closet. 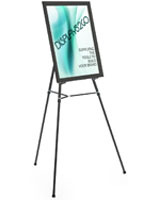 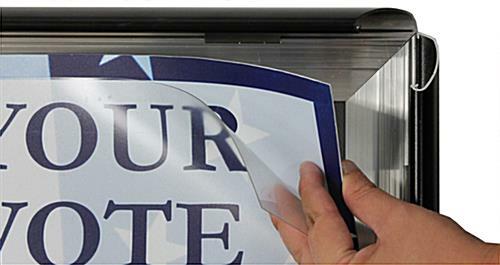 Your poster board will get great exposure on the floor with the sign holder constructed from aluminum for durability and long lasting use! 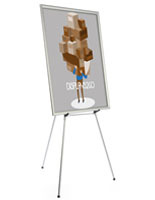 41.0" x 74.8" x 40.0"